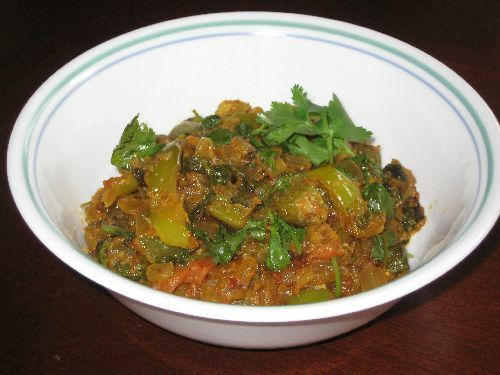 This is a yummy and healthy curry for Chapathi. 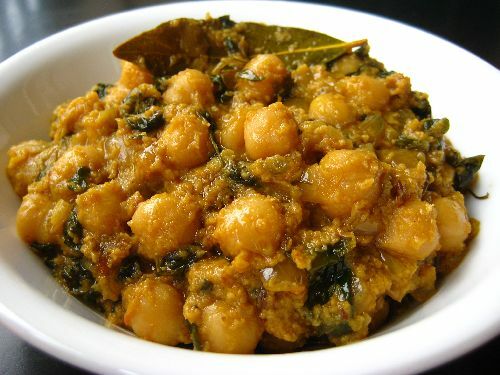 Chickpea cooked with fenugreek leaves reduces the bitter taste of fenugreek. Soak channa the day before night. Pressure cook it with 3 cups of water for 3 whistles or more till it is cooked. Separate the fenugreek leaves from the stem and chop them finely. Chop onion, tomato, coriander leaves and slit open the green chilies. In a non-stick pan add oil. When hot, add bay leaves, cloves, cinnamon, cumin and curry leaves. Add chopped Onions immediately along with a ¼ tsp of salt. When the onion turns brown, add the ginger garlic paste. Fry this until the raw smell goes away, approximately 3 min in medium flame. Stir often to avoid it getting burnt. Add green chilies, chopped tomatoes and cook till oil separates. 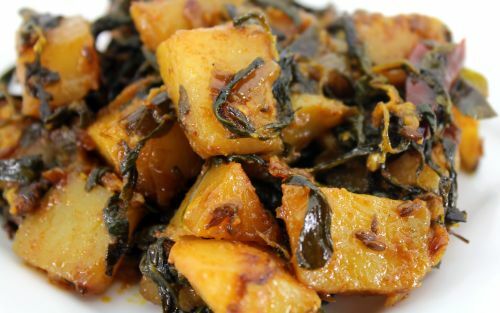 Add the chopped fenugreek leaves and fry for 3 minutes until it's cooked well in the oil. Add the turmeric powder, Coriander Powder, red chili powder and amchur powder and fry for a min. 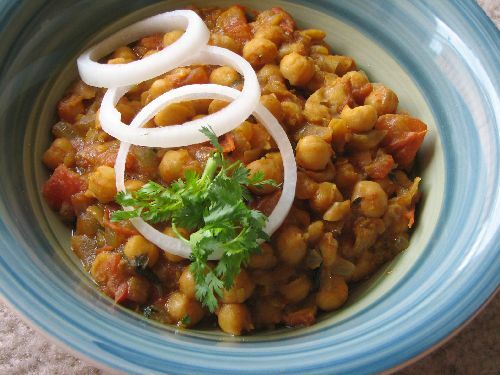 Add the cooked channa along with little water ( around ¼ cup ) from the cooker and mix well. Add salt and honey. Cook it covered for 3 mins. Add the chopped coriander leaves at the end. Don't chop the fenugreek leaves with stem. The stem comes to the mouth and spoils the taste. 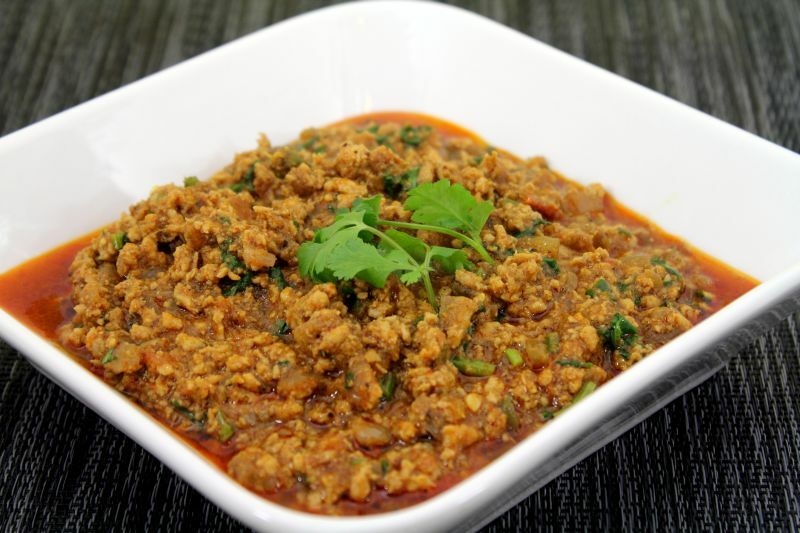 Frozen or dry fenugreek leaves also can be substituted and it tastes as good as the fresh ones. Amchur powder adds bit sourness to the gravy and tastes good. (*)This tastes yummy and you don’t feel the bitter taste of fenugreek leaves. 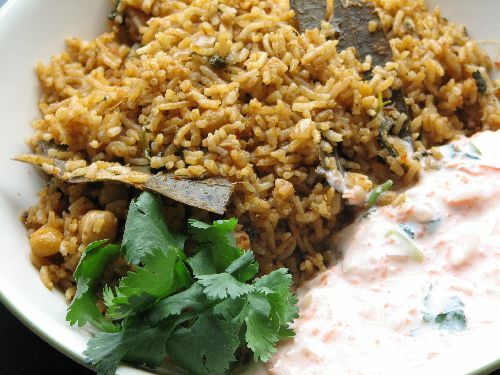 When should i add dry fenugreek leaves? Should i add it just before switching off the flame or fry it after adding tomatoes? 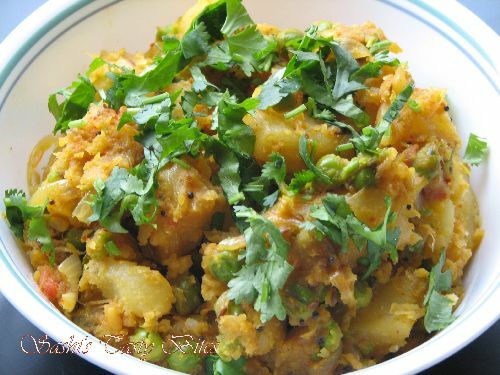 iam from coimbatore, really iam enjoying ur recipes. the way to present it also sooo good and when we see the recipes it give a thought oh it is easy to prepare and no doubt gooood taste. when i saw ur kongunadu chicken gravy, it tooks me to india to my mom’s kitchen. Hi Sashi, i tried this recipe. It came out very well. Taste was good and different because of honey & amchur powder. And as you mentioned, there is no bitter taste at all. I liked it very much. Thanks for the recipe. Nice.. Hope you enjoyed eating it !!!! Fenugreek tastes bitter… not sour. There are, quite a lot of spelling mistakes as well as technical errors. Proofread your post or get it done from a friend. And last but not the least… nice recipe. :) TFS! !